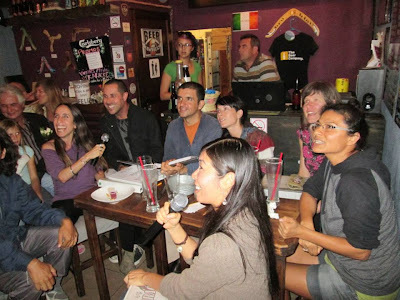 San Miguel de Allende Karaoke: Karaoke is good therapy (es buena terápia)! Karaoke is good therapy (es buena terápia)! completely absorbed in the fellowship of the moment...completely unselfconscious. That's called "being in the now," or "in the moment," and it's a healthy thing. More therapists ought to prescribe karaoke nights for their patients!